A mosquito isn't just a mosquito. There are many different types. There are over 3,000 species recognized worldwide, and more than 30 of them are found here in Calvert County. Each species uses its own unique habitat. Some are salt marsh mosquitoes; others will only use containers to reproduce. A large portion of our time is spent controlling mosquitoes before they become adults. Mosquito larvae are concentrated in a smaller area and therefore easier to treat. 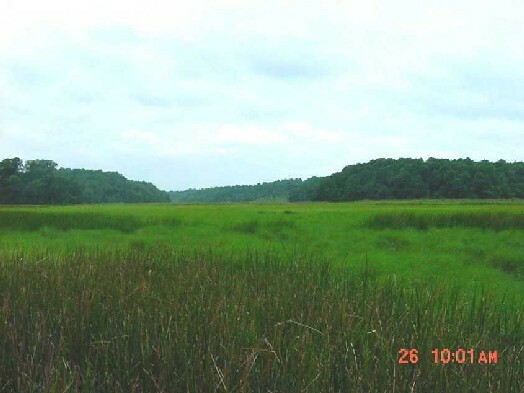 Marshes that we treat include West Marsh and Fishing Creek. Stormwater ponds are found in almost every subdivision and in shopping centers. Since they are not a natural ecosystem, we can introduce mosquito fish as a biological control. Woodland pools are found throughout the county. Some are permanent but most are temporary. Mosquitoes can breed anywhere there is standing water, including in roadside ditches or containers such as old tires, tarps, buckets and wading pools.